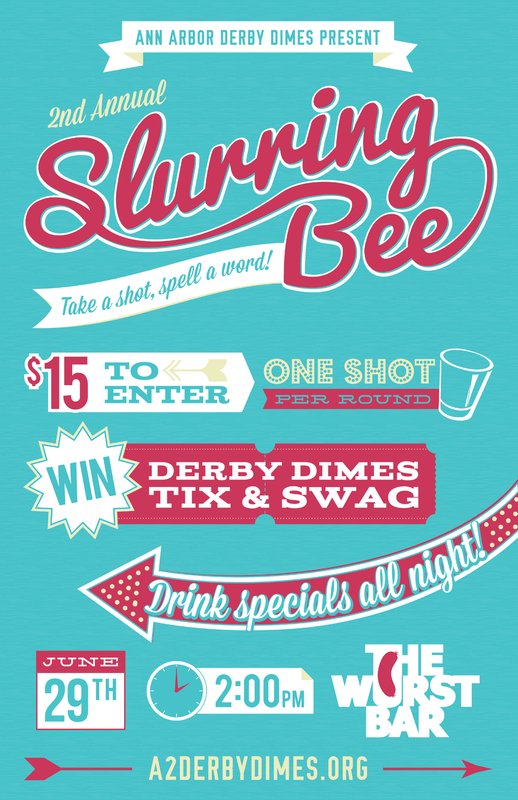 One of our best-loved fundraisers, the Slurring Bee, debuted last year. Sunday, June 29, it's back! This adult take on a spelling bee challenges competitors 21 and up to correctly spell a word after taking a shot. The winners will take home A2D2 merch and bout tickets, plus the kind of priceless bragging rights that come along with being the best speller while buzzed. Complete details are in our Events Calendar. We hope to see you there! Posted on June 7, 2014 by Ann Arbor Derby Dimes.